The Mitsubishi XD600U is the latest in Mitsubishi's line of bright, highly portable business projectors. It distinguishes itself from the crowd of XGA DLP projectors in several ways. With a 4500 lumen maximum light output, 2000:1 contrast, and weighing less than eight pounds, it is an attractive value. It also has a 1.5:1 manual zoom lens and a mild upward throw angle, making it very easy to use in a conference room or in a ceiling mount. The XD600U is 3D enabled, using DLP's new implementation of 3D technology. While a full discussion of 3D DLP projectors is beyond the scope of this article, we have had the opportunity to look at several 3D DLP projectors, so we have included some qualitative comments on the XD600U's 3D implementation. 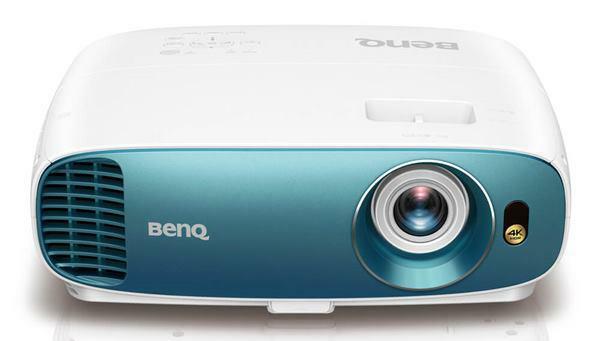 The bottom line is that the XD600U is a great 2D business and classroom projector first, and a great 3D projector second. With street prices around $1900, the XD600U is an attractive value for large-venue applications in business and education. High Brightness. The XD600U is a small projector, but its small size is deceptive. It is rated at 4500 lumens, and our test sample gave a maximum reading of 4351 lumens in Presentation mode. This makes the XD600U a great choice for large-venue, especially when portability is important. If that is too much light for your needs, Standard mode is an option that produces 2634 lumens while also improving contrast and color fidelity. Of course, this could still be too bright. In this case, try low lamp mode, which reduces light output in any mode by 23%. Backing it up and using the longest throw setting on the zoom lens will cut light by an additional 19%, compared to what it delivers at its wide angle setting. Contrast. The XD600U has solid contrast, and even small text was easy to read on an 80" diagonal screen from almost twenty feet away. In addition to text, high-contrast images are displayed with excellent dynamic range, giving the image plenty of "pop." In Presentation mode, where BrilliantColor is active, dynamic range can be excessive, while Standard mode places greater emphasis on color accuracy while still producing a high-contrast picture. Placement Flexibility. The projector's 1.5:1 manual zoom lens can display a 100" diagonal 4:3 image from 9' 7" to 14' 3". A zoom lens with this kind of flexibility gives the XD600U a certain amount of "one size fits all" flexibility, making it a good choice for multi-unit installations when you have a variety of difference size conference rooms or large classrooms. The 19% light loss at maximum telephoto zoom is minimal for a 1.5x zoom lens, and the XD600 has lumens to spare. Even at maximum telephoto, Presentation mode delivers over 3500 lumens, which is still a very bright picture. The throw angle is fixed, as the projector has no lens shift. The throw angle offset is 12%. In practical terms, that means the bottom edge of a 100" diagonal 4:3 image will be 7" above the centerline of the projector's lens. This is a good compromise offset, allowing the projector to be used on conference tables or in ceiling mounts. Low Maintenance. The XD600U will make the people responsible for projector maintenance very happy. It has no dust filter to clean, and the lamp is accessed through a door on the top of the projector. That means you will never have to take a projector down from the ceiling in order to do a lamp change. Speaking of lamps, the XD600U's lamp is rated to last 5,000 hours in low lamp mode, which is excellent lamp life for a high brighness projector. Replacements cost only $350, which ought to make the people holding the purse-strings very happy, indeed. I went to see Avatar this week. I had seen Beowolf a year or two ago. Those are the only two movies that have tempted out from my Home Theater in a long time. Beowolf was very dim in the theater. I attributed that to the 3D technology. I was a little early for Avatar so I caught ten minutes of 2D Sherlock Holmes. I was shocked at how fuzzy and dark the image was. It was so dim that I felt that my eyes were working extra hard. Avatar was also rather dim as I had expected. I think the current crop of popular HT 1080 projectors are simply not bright enough for 3D. But something like this machine seems to make sense. What does this do to the LED illumination we have been waiting for for so long? DLP seems to be roaring back with LED DLPs in our cell phones and 3D projectors in our homes for games and soon movies. Is there anything specific about DLP that makes it more accessible to 3D than LCD? Happy New Ye10! Thank-you v.m. for Your clarity. Very interesting. Are there others reviews,about 3D-ready projectors,i.e.Lightspeed ? This is exciting to see. 3D projector reviews. Fuji has the 3DW1 Compactcamera and it can also take movies in 3D. So for the consumer, there is a way to make photo's and movies in 3D yourself. They also have the 3DV1 which is a 8"screen where you can see the material in 3D without glasses, so that is also possible. But using a beamer gives the ultimate experience like 3D Imax Avatar. This is an excellent projector: bright, great colors, and almost silent. My only disappointment was that it is not supported by the NVIDIA 3D Vision glasses so I can not use it to play 3D games yet. Desearia la direccion de una tienda en Los Angeles, para una demostracion,teniendo un Blu Ray 3D, para proyectar DVDs. Google Translation: I wish the direction of a store in Los Angeles, for a demonstration, having a Blu Ray 3D, to project DVDs. The projection screen contains uncountable tiny black dots which are clearly visible but not ignorable. Does this projector have to be used in 3D? Or is there an equivalent non-3D model? I am really looking for a projector with superior picture quality and accurate colors. Can this projector take in the audio signal within the HDMI and then output with the 1/8" audio output onto an external receiver? You made a comment @needing a beefy video card. Can a Dell Optiplex 760 Drive this projector adequately? Also, can it be mounted overhead? Partial Google tranlation: Need to know if it needs a 3D card to work. What type of screen is required if one is viewing a 3D movie? Can I wear my standard polarized glasses to successfully view the 3D effects.